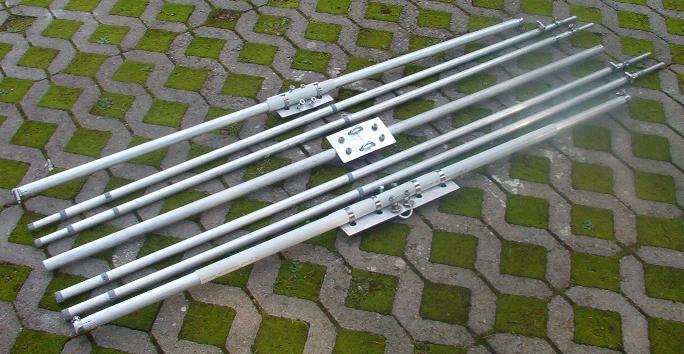 No other antenna has a better relation between gain and expense than the 2-Element-Yagi. 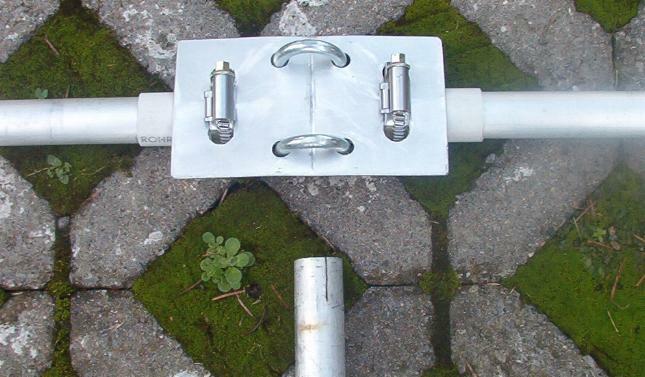 One element additional to the dipole will give you 4dB gain. Each further element will give much more mechanical problems and the increase in gain is only 1-2dB for the same bandwidth. What says the ARRL-Antenna-Book about this antenna? "The must bang for the buck". Right! Because the 10m, 15m and 20m-Bands need a greater bandwidth, the radiation resistance must be higher than for the smaller WARC-Bands. Therefore we take the Yagis with radiator-reflector and 50Ohms for 10m (greatest bandwidth), 28Ohms for 15 and 20m and the Yagis with radiator-director and 28Ohms for the WARC-Bands. 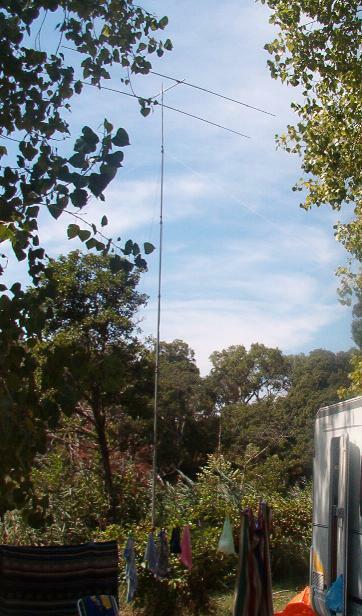 If you have a height above ground of 10m or higher for a 12m-Yagi, you can try a 12,5Ohm-type for that band. The antenna needs a very clear surrounding!  With a very short boom and small bandwidth you get very high F/B. The antennas are fed with the DK7ZB-match . 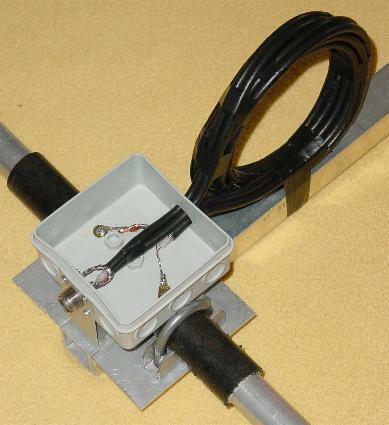 A quarter-wave choke of coax is grounded at the socket. 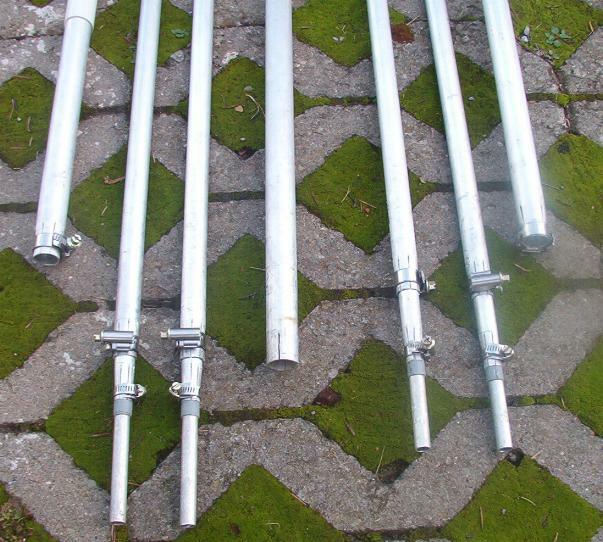 He has a cheap and simple construction similiar to my 3-Ele-portable Yagi with aluminium tubes as a leightweight antenna. Details see in the pictures below. For each band he has an own 2x75-Ohm-quarterwave matching cable.